The Collector´s Edition includes several unique gaming units and structures that will help in a difficult way of mastering the world of the future. In just a few decades, the world around has changed beyond recognition. Global climate change has led to the fact that the habitual continents have disappeared in the depths of the sea. From now on, human life is connected with the islands and boundless expanses of ocean waters. But even in such conditions, development does not stop, but only grows! A completely new game of the legendary Anno series will once again please its numerous fans with large-scale changes. 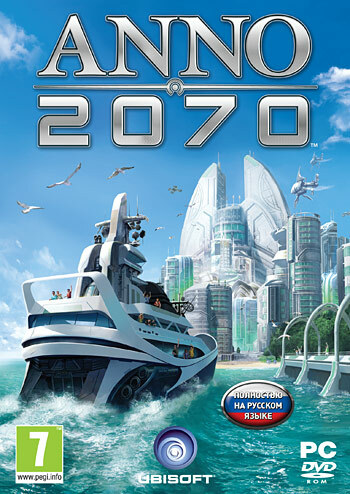 This time you have to act on the side of the faction of environmentalists or tycoons, build huge megacities on the islands and descend into a stunning underwater world. Use unique technologies, strengthen your military power, prepare yourself for economic war and local conflicts! You can go through an exciting single-player campaign, help friends in a joint game or choose rivals for an epic online confrontation with an advanced achievement system and detailed statistics.